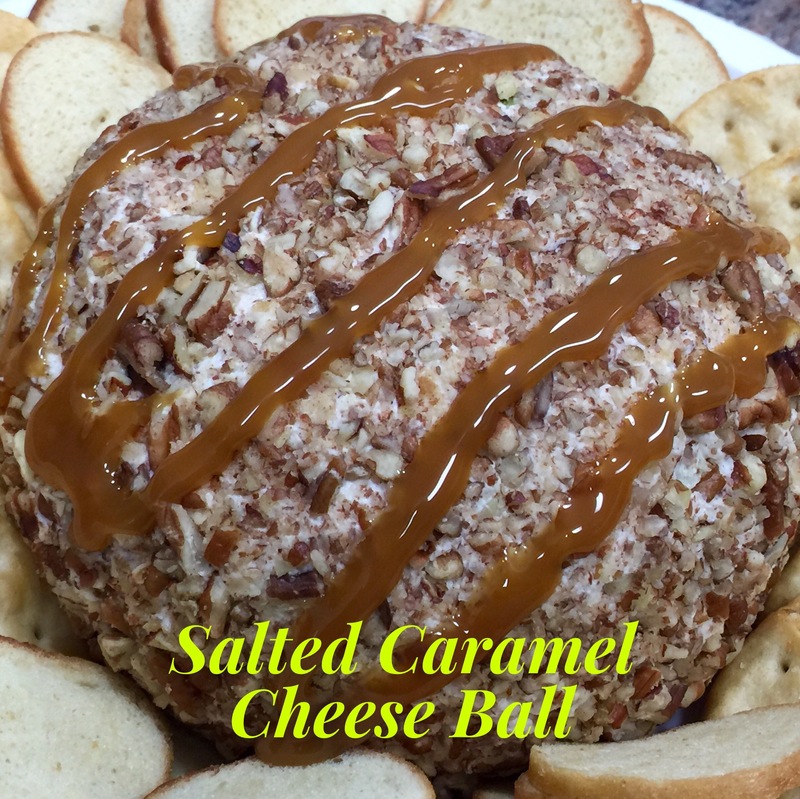 fish – You Betcha Can Make This! Although we try to eat a lot of fish, I don’t usually buy halibut because it can be quite pricey. But the other day when I was at the grocery store they had just cut some fresh halibut and it looked so good I had to buy some. I’m always a little nervous about making halibut because I don’t want to overcook it. It’s somehow easier for me to rationalize making a mistake with salmon (although I have that pretty much down to a science) than with halibut. But I just couldn’t resist how good and fresh the halibut looked and decided to try this recipe for making it. Lesson Learned 1 – Do you leave the skin on or not: That is the perennial question, isn’t it? I prefer removing the skin but you can certainly leave it on. Some think that by leaving the skin on the fish tends to be more moist. In my experience I don’t know that to be the case. So the decision is up to you. I prefer removing the skin but the choice is up to you. Either way, it doesn’t seem to affect the overall cooking time of the fish. 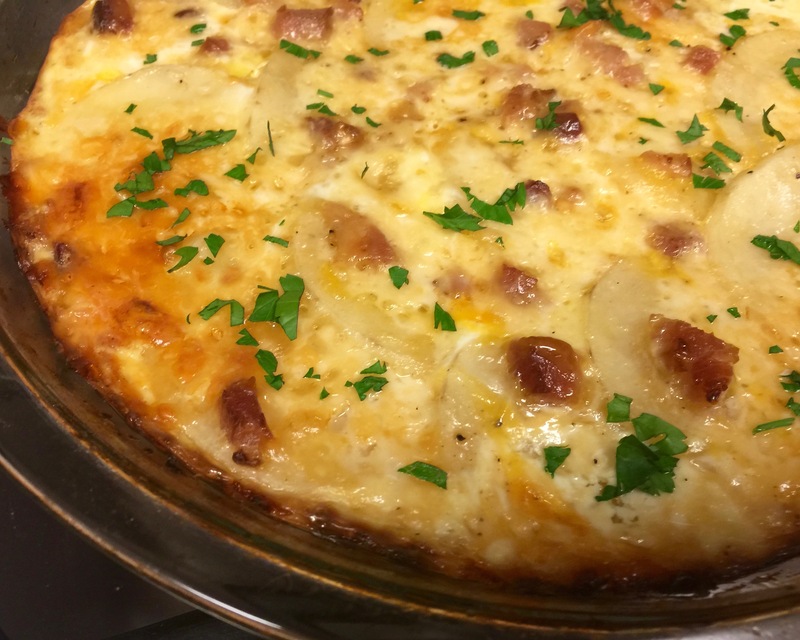 Lesson Learned 2 – The hardest thing about this recipe is determining when the fish is done: The best way to determine that is to take a fork and try flaking off a small piece on the end of the fish. If it flakes off, it is done. The only advice I can give with cooking fish is it takes time and practice to perfect that skill. Basically you have to get to know the type of of fish you’re using and how your oven functions. I realize that may be little comfort where a more expensive fish like halibut is concerned, but once you’ve got the hang of it, you’ve got it! The end of the fish is flaky – the fish is done. Always cook the fish for the least amount of time that a recipe calls for and go from there. You can always put the fish back in the oven but you can’t change things when it’s overcooked. I know in my oven a 4-5 ounce salmon filet is cooked the way we like it at 375 for 20 minutes. (keep in mind I am at high altitude and cooking temperatures on average can be 15-25 degrees higher than on any given recipe designed for sea level). Also, the cooking process determines the oven temperature and cooking times. This particular recipe is done entirely in the oven. Sometimes I make fish (and you can certainly do this with halibut) where I lightly brown the fish on both sides in a skillet on top of the stove and finish off the cooking process in the oven. Doing that normally changes the oven temperature and cooking time. So the cooking process will determine what temperature and how long you cook the fish. This particular recipe is done entirely in the oven. When I made the fish I cooked it at 365 for 15 minutes and it turned out great. Again, keep in mind I am at high altitude and most recipes are not written that way so for my sea level friends I recommend baking the fish at 350 for 15-18 minutes. If you are unsure for any reason check the fish at 15 minutes. You should be just fine if you do. And that’s it. 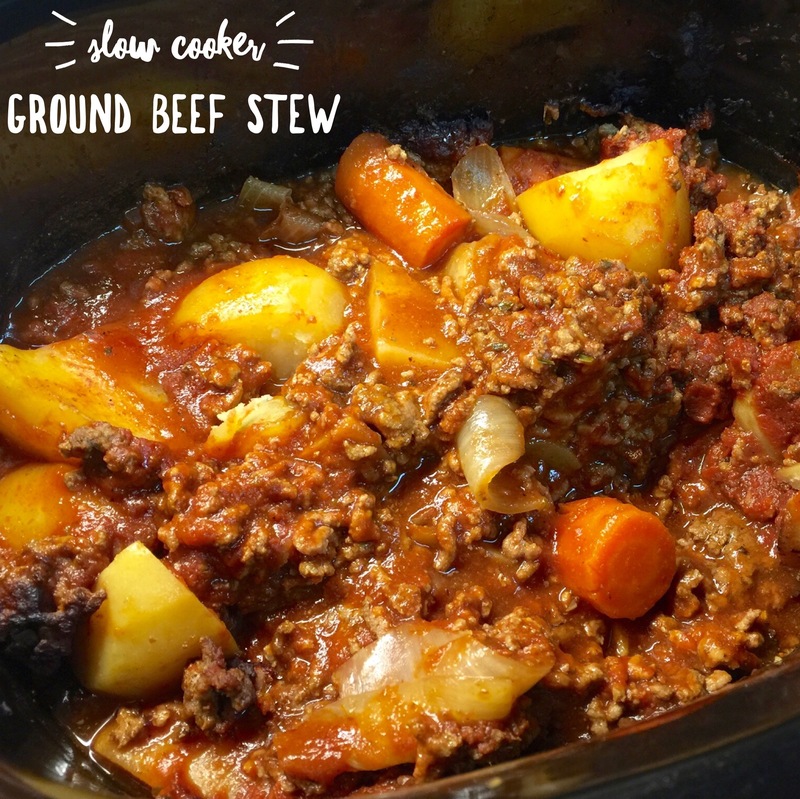 Just a few last thoughts – I’m writing this recipe for 2 people put you can certainly make it for more. Just increase the crust ingredients proportionately. Also, the combination of mayo, horseradish and lemon creates a wonderfully flavorful crust for the halibut. 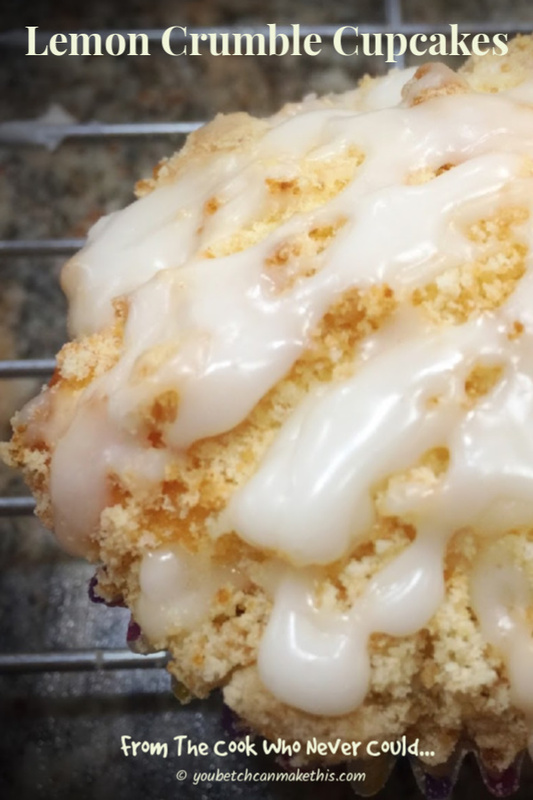 Once you make this, I’m sure you’ll want to make it again. It’s just that good! 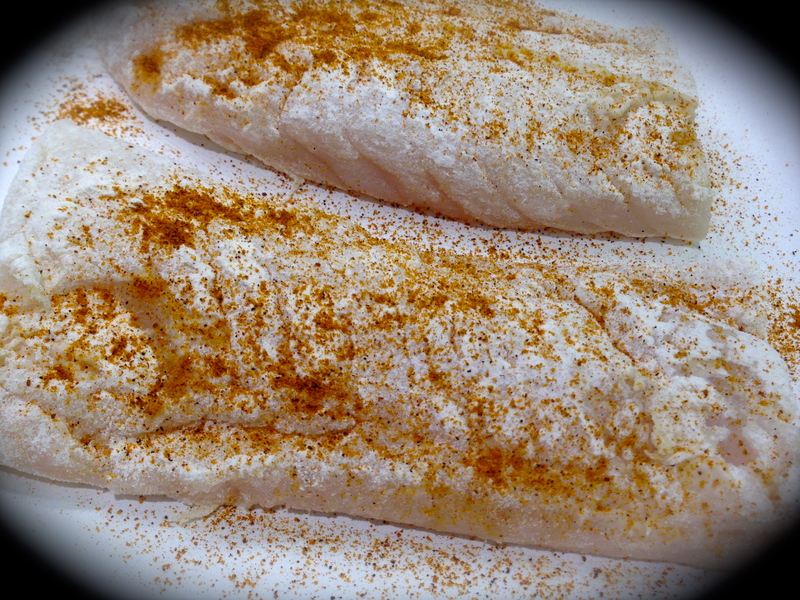 And guess what – the crust works equally as well on cod so you have a less expensive choice as well. Enjoy! Preheat oven to 350 degrees (365 for high altitude). Line a baking sheet with foil. Set aside. In a small bowl mix together the mayo, mustard, and lemon juice. Stir in 1/8 cup (half) of the bread crumbs and 1 tsp. (half) of the Parmesan cheese. Spray the foil lined baking sheet with cooking spray. Arrange the filets on the baking sheet and spread the mayo/crumb mixture on top of them. 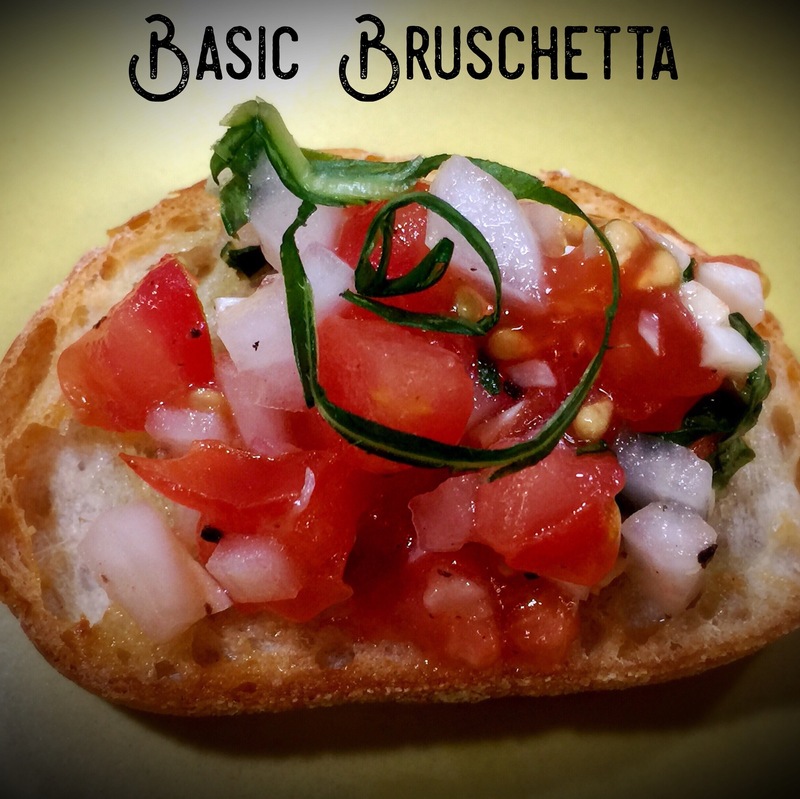 In a small bowl mix together the remaining bread crumbs, Parmesan and melted butter until thoroughly combined. Sprinkle this coating on top of the halibut filets. Bake for 15-18 minutes, checking the filets at 15. The fish is done when it flakes easily off the end of the fish with a fork. Once again I apologize to my readers and subscribers. I’m in the process of moving and have not been able to devote the time I would like to my goal of one new recipe a week. Hopefully within another month I will be back on track. Until then, I will publish when I can. 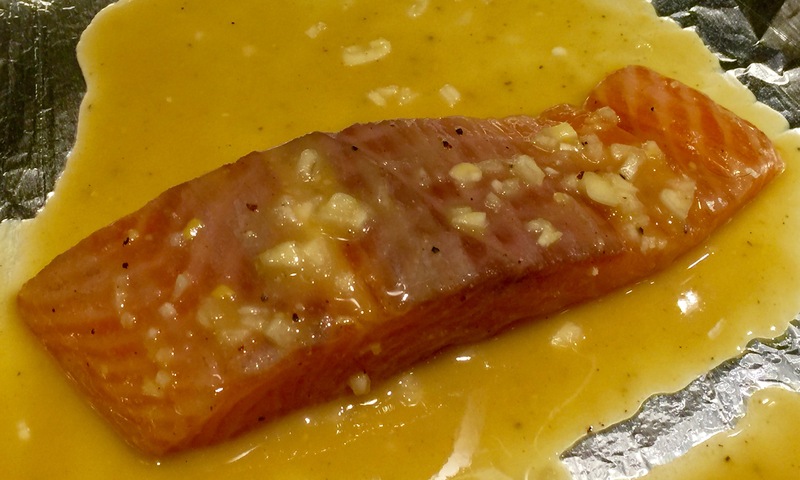 Today I want to write about honey mustard salmon. I’ve come to the conclusion that I’ll eat just about anything that’s honey mustard. To me that combination of flavors is second to none. I’ve often made chicken with it. 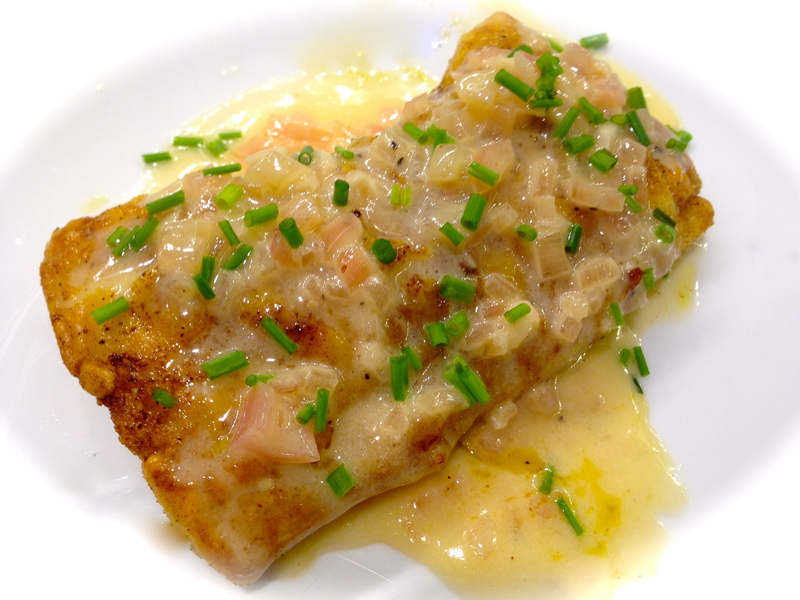 So why not try marinating and baking one of my favorite types of fish, salmon, in a honey mustard sauce. 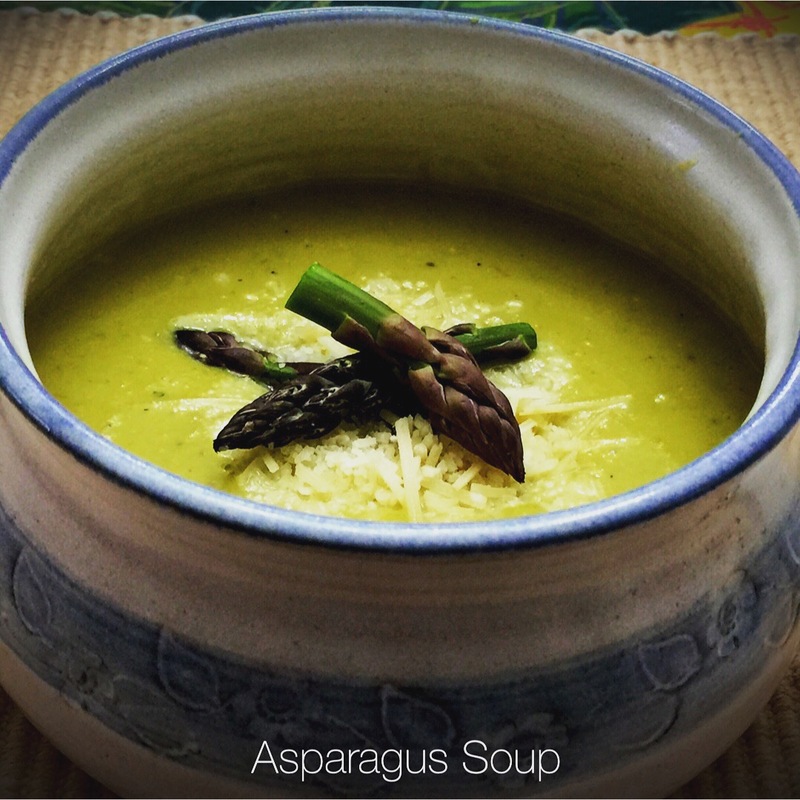 I like flavorful and simple recipes. I truly believe that the more simple the ingredients the better. This particular recipe fits that mold. 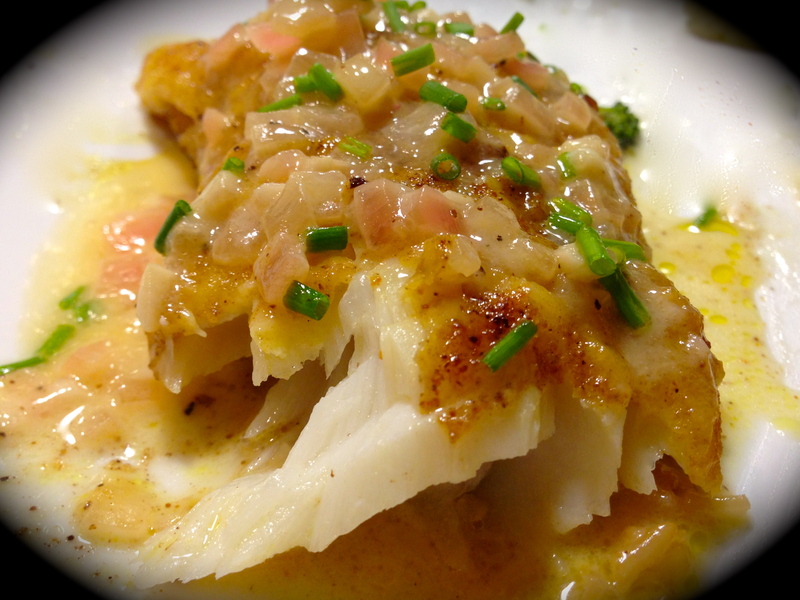 One of my most popular posts these days is my recipe for Pan Fried Cod In Lemon Butter Sauce. I bet this one will become a reader favorite as well. Lesson Learned 1 – Cut the skin off the back of the salmon: Salmon has a very thick skin that will prevent the marinade from completely permeating the filet. You need to remove it to get the best results. Because the skin is so thick it can be easily removed but you’ll need a very sharp knife to do the job. Don’t try removing the skin with a dull knife. You’ll wind up getting very frustrated and could potentially hurt yourself. Remember most knife accidents occur because of dull knives. Sharp knives are actually much safer to use and cause less kitchen accidents. 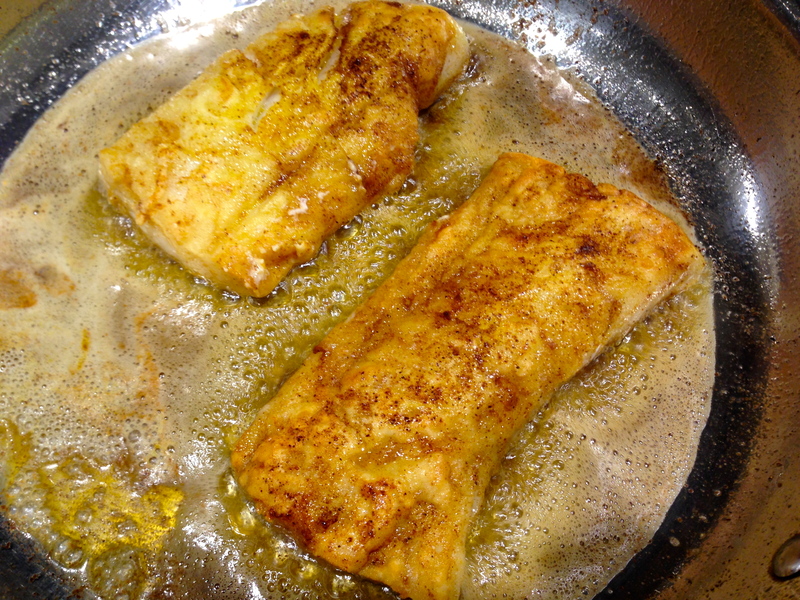 Lesson Learned 2 – It’s best if you can marinate your fish for at least 3 hours: Although you can marinate this fish for a minimum of 30 minutes, I found that the honey mustard is better absorbed by the salmon the longer you marinate it. So if you can marinate the salmon for 3 hours. Mix the marinade in a small bowl. Then take a gallon sized plastic bag, place the salmon filets in the bag and pour the marinade over the fish. Seal the bag, place it on a small plate and refrigerate. REMEMBER to turn the bag over several times while it’s in the refrigerator to insure the fish gets uniformly coated on both sides. 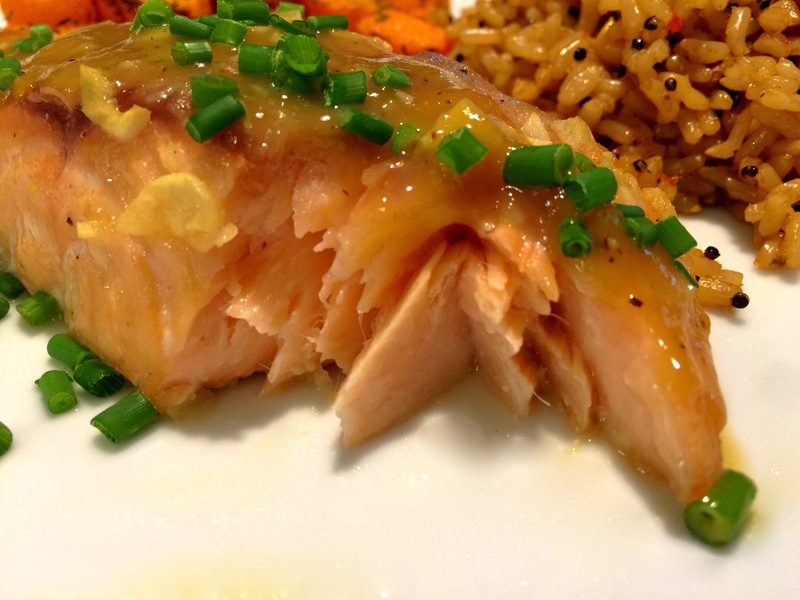 Lesson Learned 3 – Prepare your baking dish so that the salmon doesn’t stick to it: Keep in mind that this marinade contains honey and some of it will get dark and thicken during the baking process. If you ever tried to remove baked on honey from a baking dish you know how difficult it can be. That’s why it is so important to pretreat your pan. I usually line the pan with foil and then spray the foil lightly with olive oil cooking spray. That way the fish will lift off the pan without any trouble. Lesson Learned 4 – Use the marinade as a baking sauce: Once you put the filets on the baking sheet, cover them with the marinade. That way the marinade becomes a delicious sauce you can spoon over your filets before serving them. DO NOT use the marinade as a sauce directly out of the bag since it has been sitting over raw fish. But if you spoon that marinade over the filets and let it bake in the oven with the salmon, it thickens beautifully and becomes a safe and great sauce. Preheat the oven to 400 degrees. If the salmon filets have skin, remove the skin and set aside. 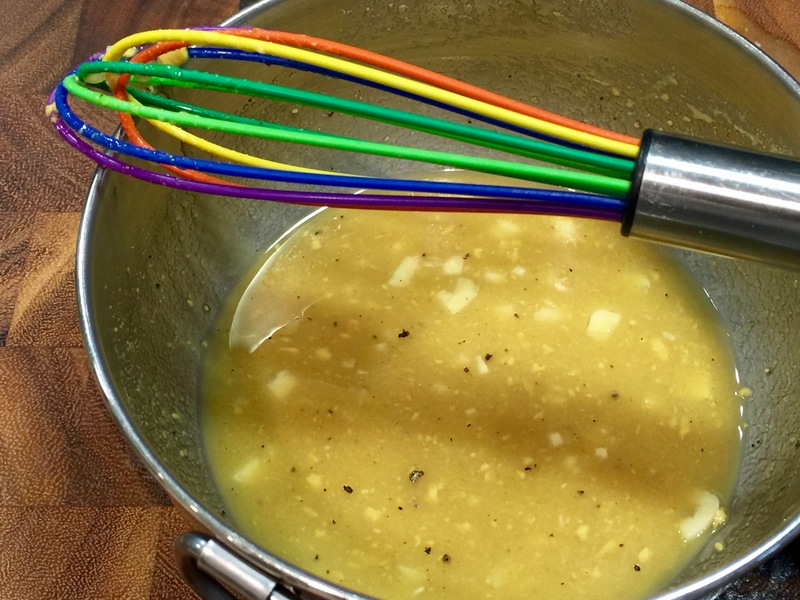 Whisk together the garlic, mustard, honey, wine, salt and pepper until smooth. 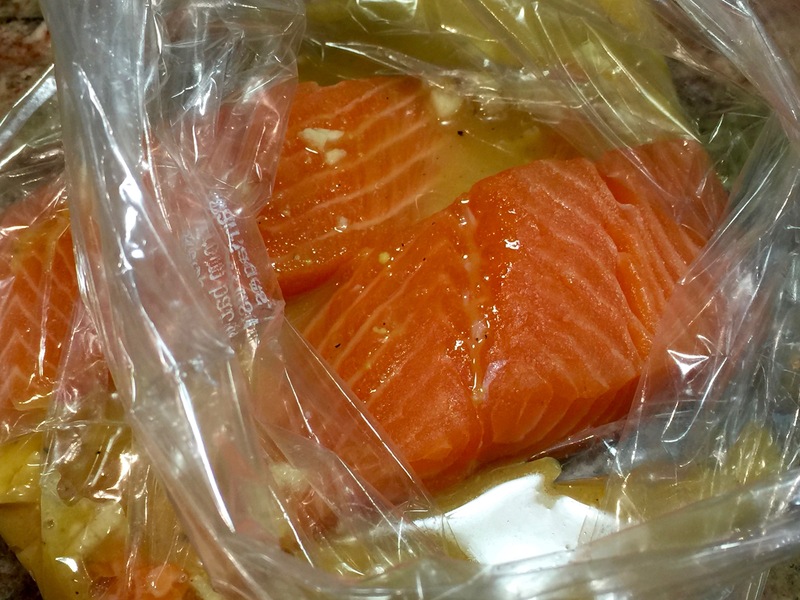 Place the salmon filets in a gallon size plastic bag. Pour the marinade over the filets and seal the bag. Massage the bag with your fingers to make sure all of the filets are covered. Place the bag on a small plate and refrigerate for up to 3 hours (30 minutes minimum), remembering to turn the bag over in the fridge every once in a while during the marinating process. Prepare a baking pan by lining it with foil and lightly spraying the foil with olive oil cooking spray. Place the filets on the baking sheet and pour the marinade over the filets. Bake for 12 – 15 minutes. Plate the salmon. Pour any of the remaining sauce (baked marinade) over the filets. 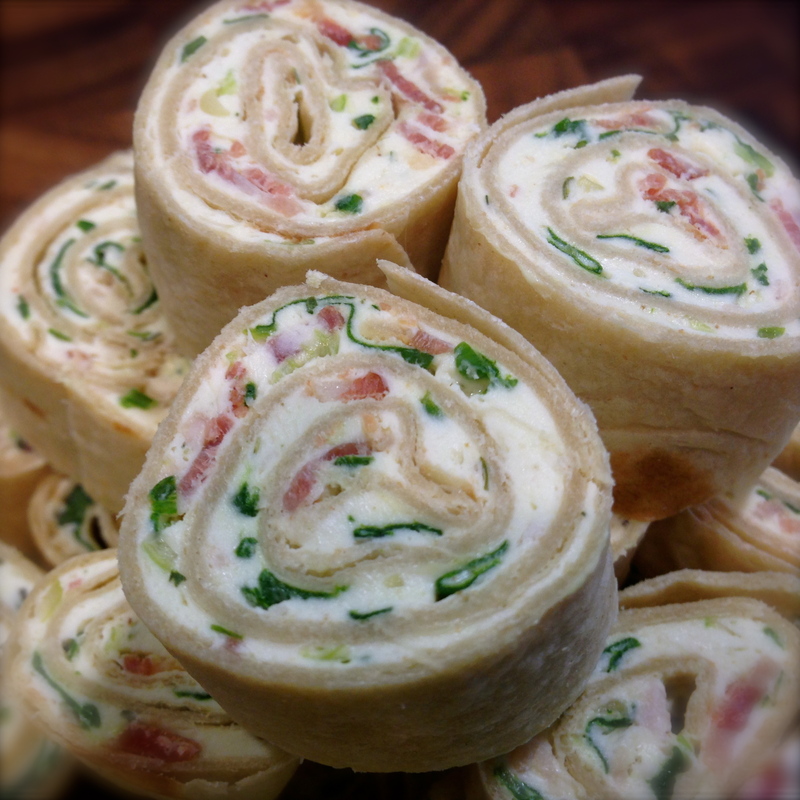 Garnish with chopped chives and serve. My husband and I have taken to eating more fish these days and so I’m experimenting with different ways of preparing it. I’ll admit it up front, fish can be tricky. You can’t eat it if it’s underdone and it tastes like the Sahara Desert if it’s overdone – and there is a very fine line of cooking time that separates fish from either one. But my job in this blog is to try to save you some of that uncertainty by my trial and error and not yours. This fish recipe turned out very well the first time I made it, amazingly enough, and there is only one simple thing I would change from the original recipe and that would be the cooking time. The name of the dish sounds fancy but don’t let the terms en croute and duxelle frighten you. 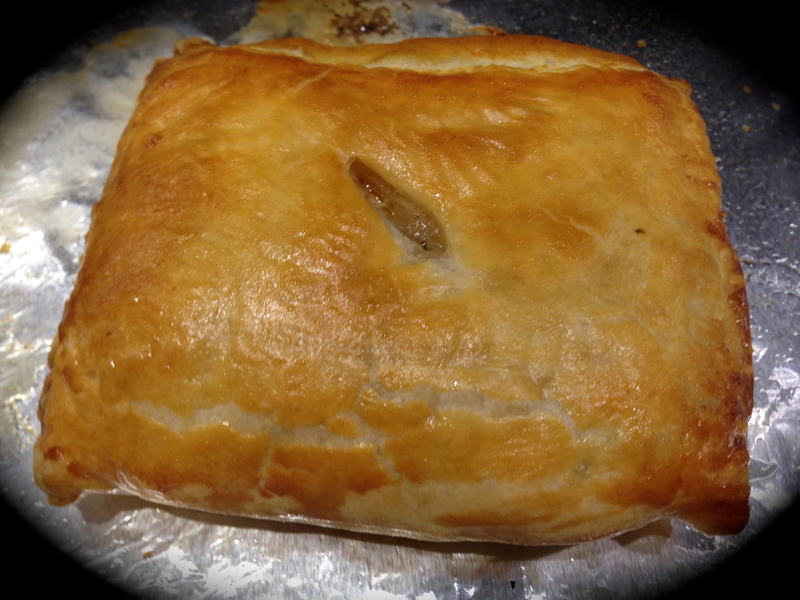 En croute simply means in a crust and a duxelle is merely mushrooms, shallots and herbs sautéed in butter and reduced to a paste. This particular duxelle also adds some vermouth and a tad of heavy cream to the paste just to make it extra decadent. As for the puff pastry, hardly anyone tries to make it from scratch anymore as the process is tedious and time consuming. Frozen puff pastry is just fine and adds to the mystique of the recipe with hardly any work on the part of the chef. 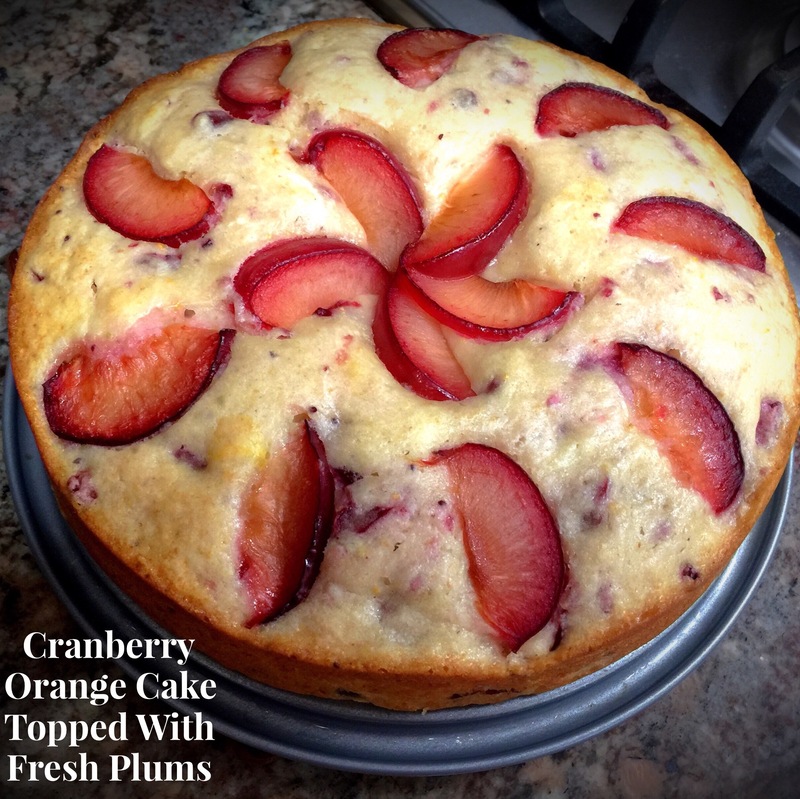 The beauty of this recipe is that it really isn’t that hard to put together. 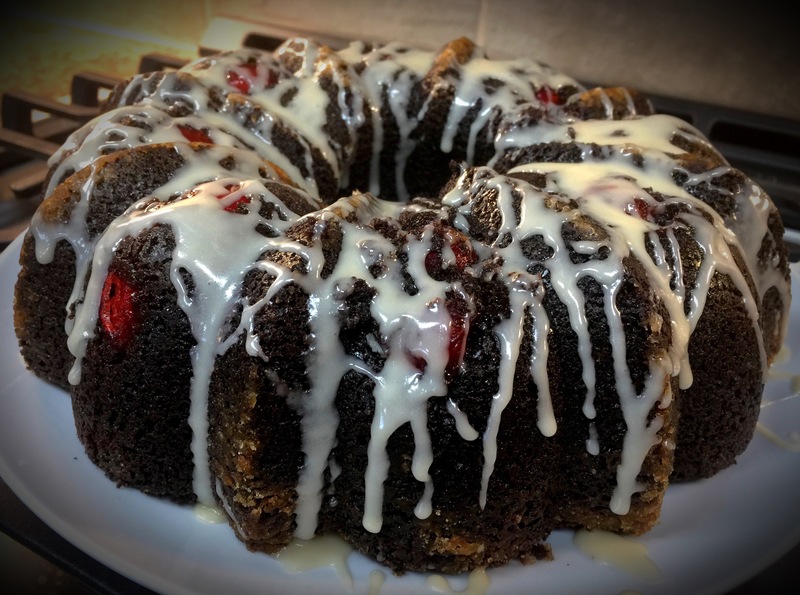 So I’ll share my recipe rating and lessons learned in the hopes that you’ll give this one a try. Recipe Rating- A-: The minus in the rating is really for the cooking time listed in the original recipe. I find it hard to believe that the salmon would be moist considering the amount of time the recipe suggested to cook it. 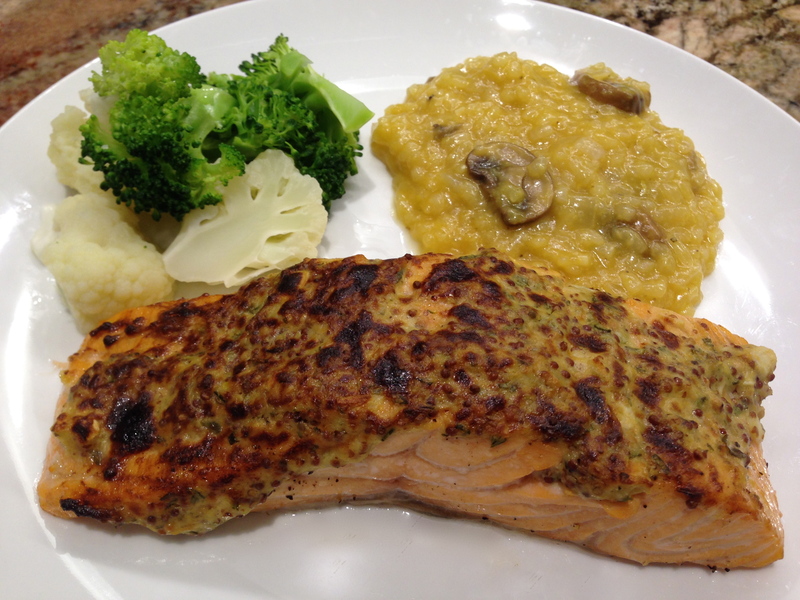 But other than that, this recipe is very good and I think even someone who is not a big fan of mushrooms might like the flavor of the duxelle, which nicely compliments the flavor of the salmon. Lesson Learned 1 – You can always put the fish back in the oven: I like to perfect fish recipes with just me and my husband as the guinea pigs before considering serving them to guests. That way I’m less worried about the presentation and more about perfecting the cooking time. So, if for some reason the fish is not done to your liking, just pop it back in the oven for a few more minutes (even if it is primarily encased in puff pastry). The original recipe called for baking the salmon at 400 degrees for 15 minutes and then lowering the temperature to 325 and baking it for an additional 15-20 minus. I simply could not imagine moist salmon being the end result of that process. My filets were 6 ounces each but only about 1/2 inch or slightly less thick. I am glad I followed my gut instinct and cooked them at 400 for 25 minutes. Even then the salmon was on the verge of being dried out but not bad (as a matter of fact those who like their salmon well done should bake it this way) – the next time I make it, I’ll bake the salmon at 400 degrees for 20 minutes and that should be perfect. 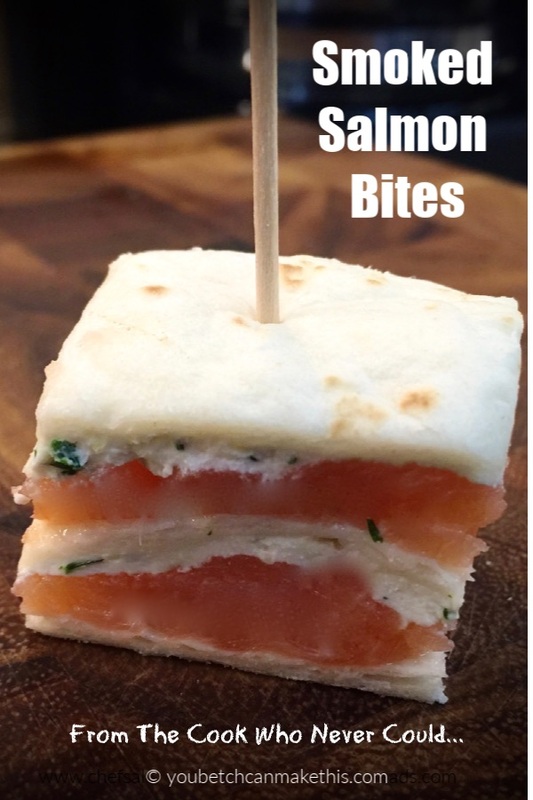 You need the time and higher temps to cook the puff pastry so you need to be careful to bake a piece of salmon that is at least 6 ounces in order for it to withstand the cooking time. Any less than 20 minutes and I don’t think the puff pastry will bake to its full potential. 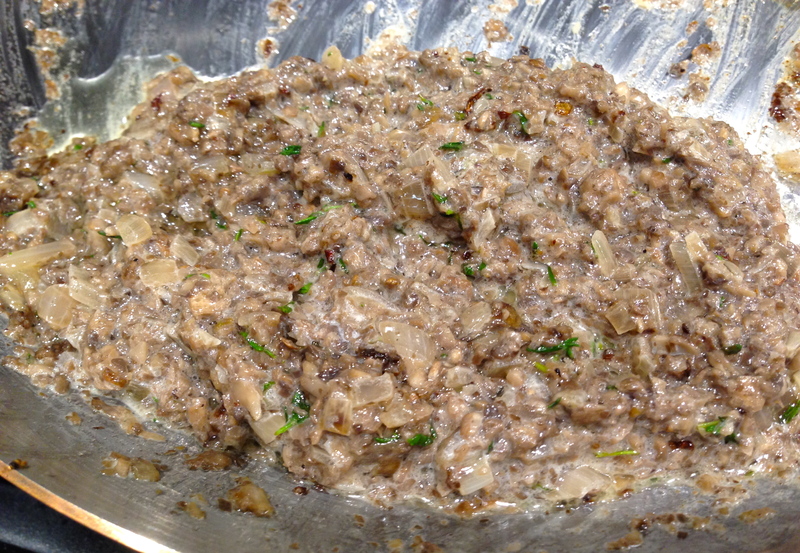 Lesson Learned 2 – To make the mushroom paste you need to finely chop the mushrooms: The duxelle consistency will not be achieved if you do not finely chop the mushrooms. As a matter of fact I don’t even recommend chopping them by hand. 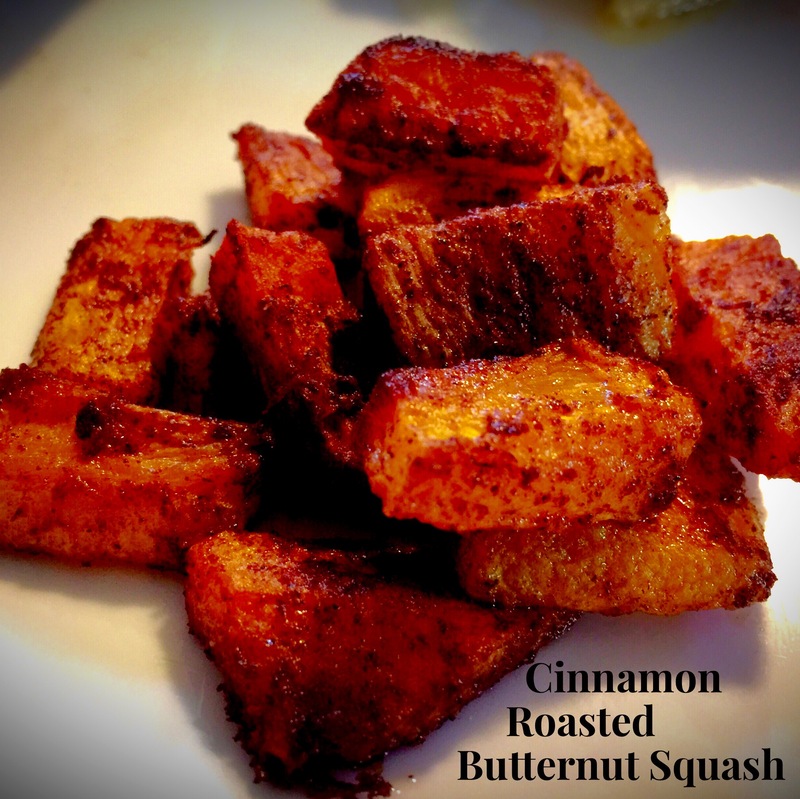 I would put them into a food processor and pulse them until they are finely chopped. 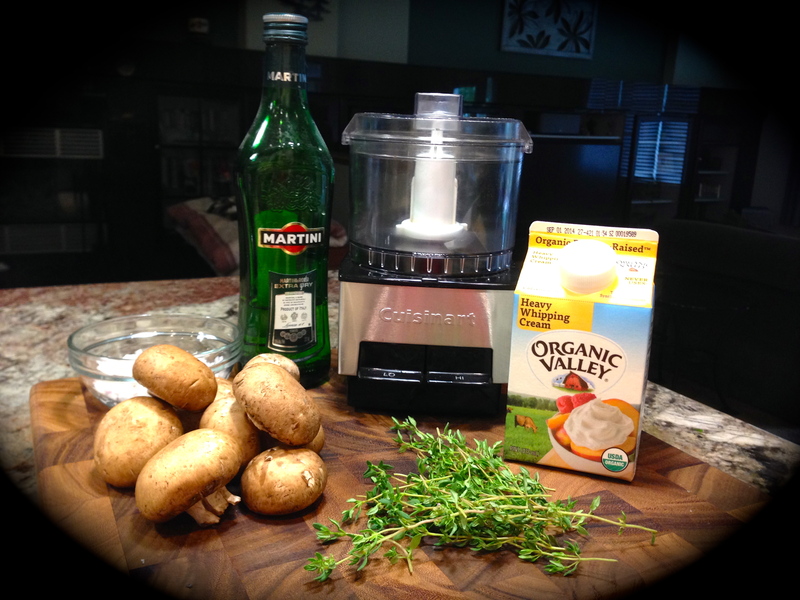 I used my mini food processor for this and got the desired results without having to drag out the large food processor. I imagine this would be quite labor intensive if you tried to do this by hand. 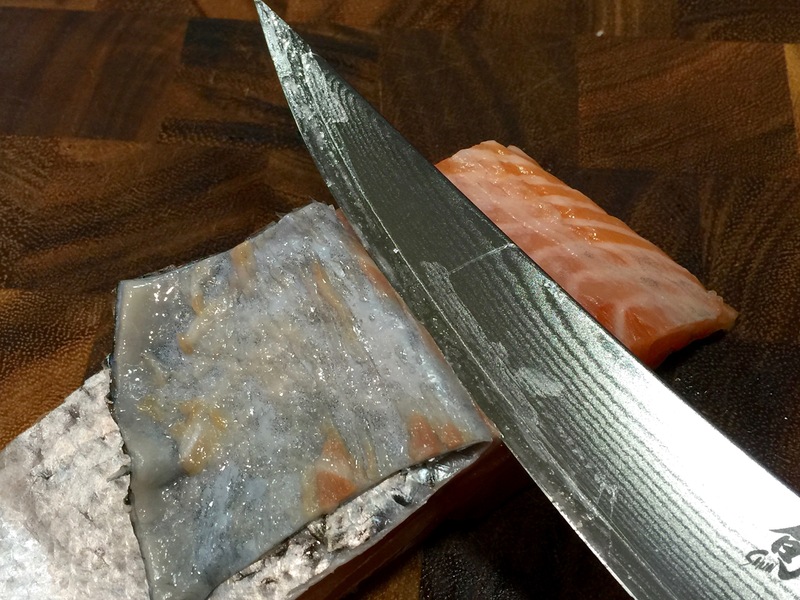 Lesson Learned 3 – Remove the skin from the fish: I purchased wild caught salmon for this dish and was surprised at how thick and tough the skin was when I was removing it. You don’t want to battle with that while you’re eating so my advice is to invest in a good boning knife and remove the skin from the fish before preparing it. Lesson Learned 4 – Working with puff pastry: Don’t be intimated. Working with puff pastry can actually be quite simple if you know a few things. First you’ll want to thaw a sheet in the refrigerator for about 3 hours before working with it. Lightly dust your prep station with flour, carefully unfold the pastry sheet (it’s folded in thirds) and roll it out to form more of a square shape. (Don’t roll it out too thin and be careful when lifting it if you need to add a little more flour to the surface). 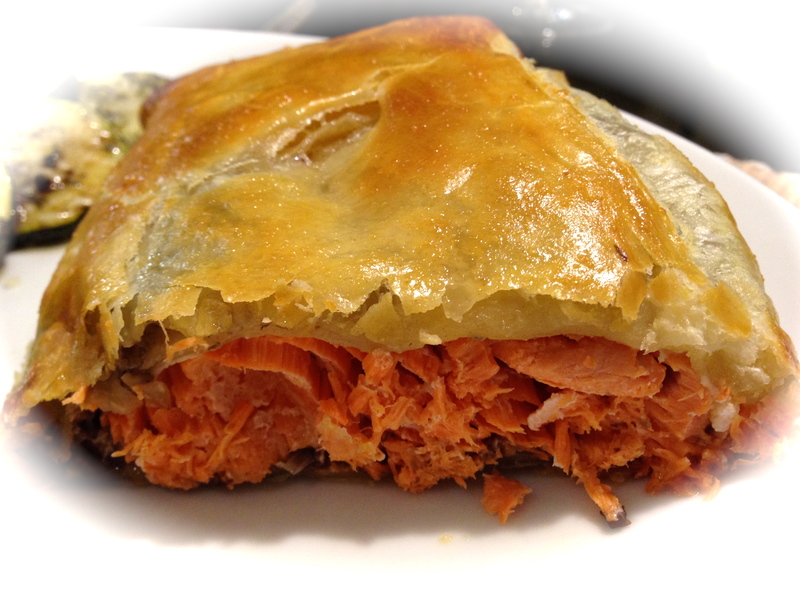 Don’t be afraid to adjust the salmon (scrunching it a little) to fit neatly into a folded pocket of puff pastry. For two filets you should only need one sheet of puff pastry. There will be two sheets in the box when you buy it. Keep the other sheet frozen and use it at a later time. Lesson Learned 5 – An egg wash is puff pastry’s best friend: In order to enhance the color of your puff pastry, beat an egg with just a splash of water in a dish and then brush it all over the top of the puff pastry. 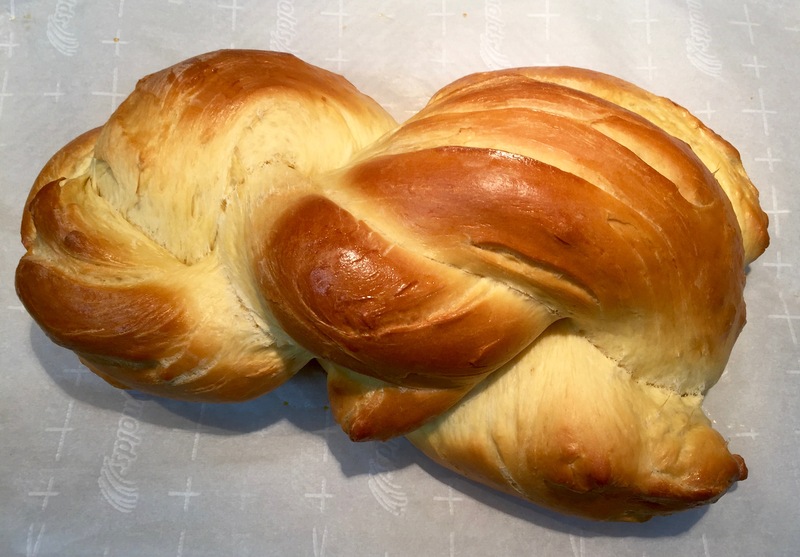 The egg wash will help produce a beautiful golden color on the pastry. Once you’ve applied it, make a one inch slit in the center of the pastry to allow steam to escape during the baking process. I know this recipe may look a little intimidating but really it isn’t. These salmon pockets can actually be made a couple of hours ahead of time and left in the refrigerator until they’re ready to be baked off. 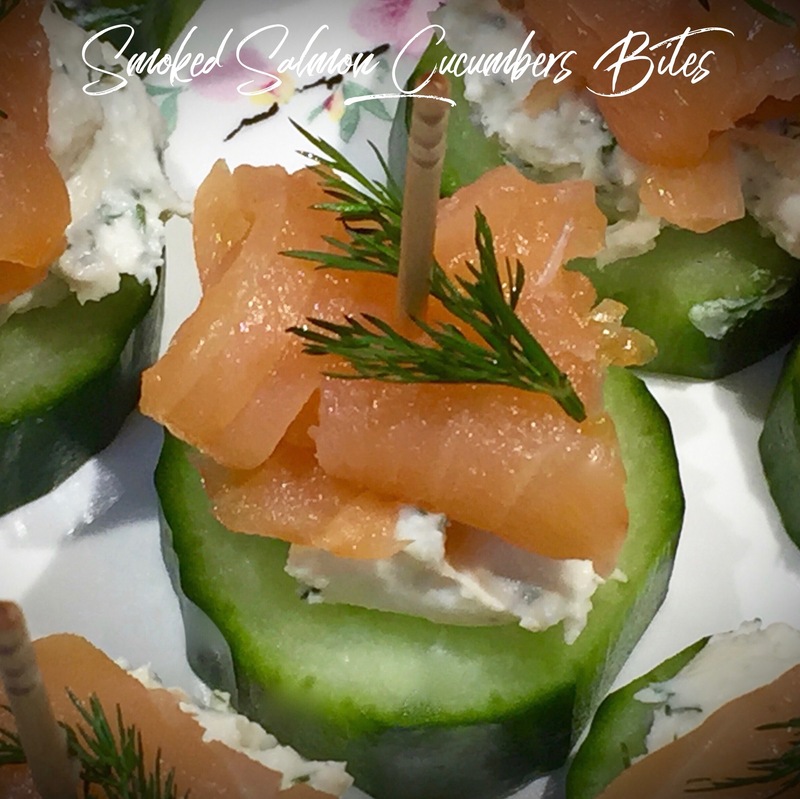 The original recipe states that these can also be frozen and then baked frozen but additional cooking time is necessary (not sure what that means but if you’re adventurous, try it). 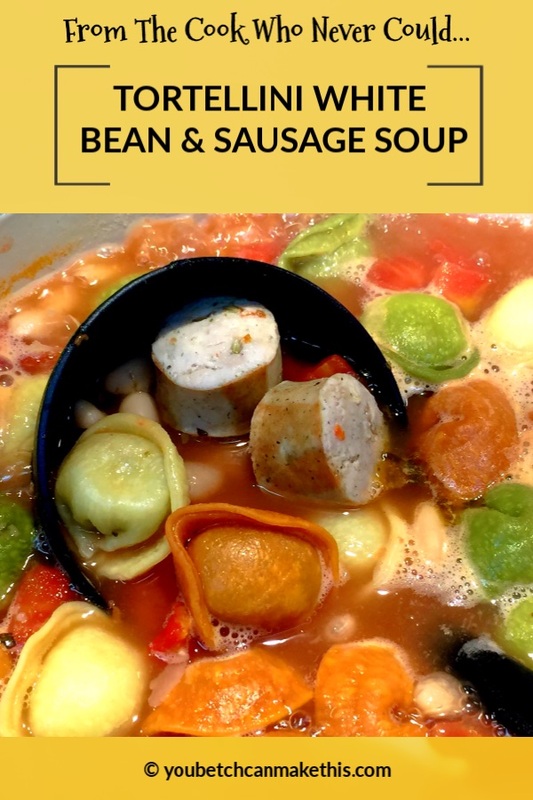 I can assure you this tastes delicious and is worth the little bit of extra time to put together. Enjoy! DIRECTIONS: Thaw the puff pastry in the refrigerator for at least three hours. Preheat the oven to 400 degrees. Using a damp paper towel, wipe off any residue on the mushrooms. Don’t wash them directly under water as they can absorb too much moisture if you do that. 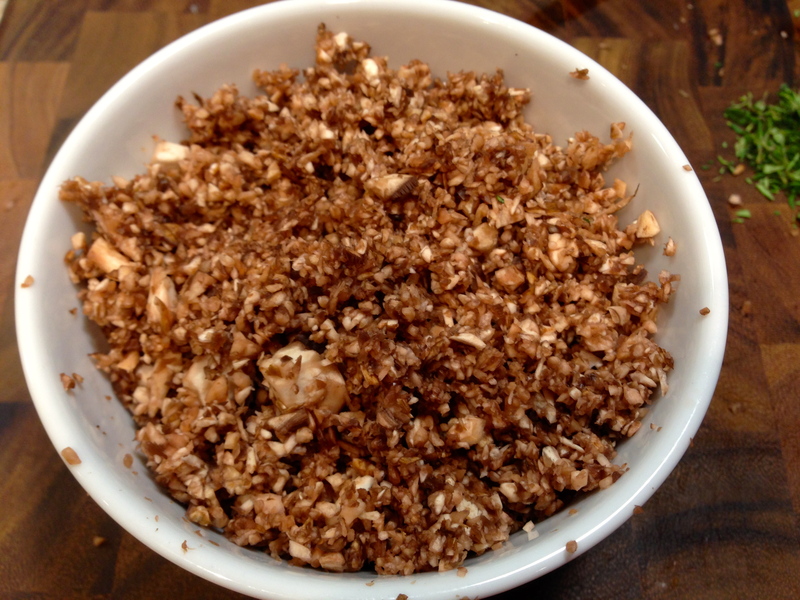 Put mushrooms in a food processor and pulse until they are finely minced. Mince the shallots and chop the thyme. 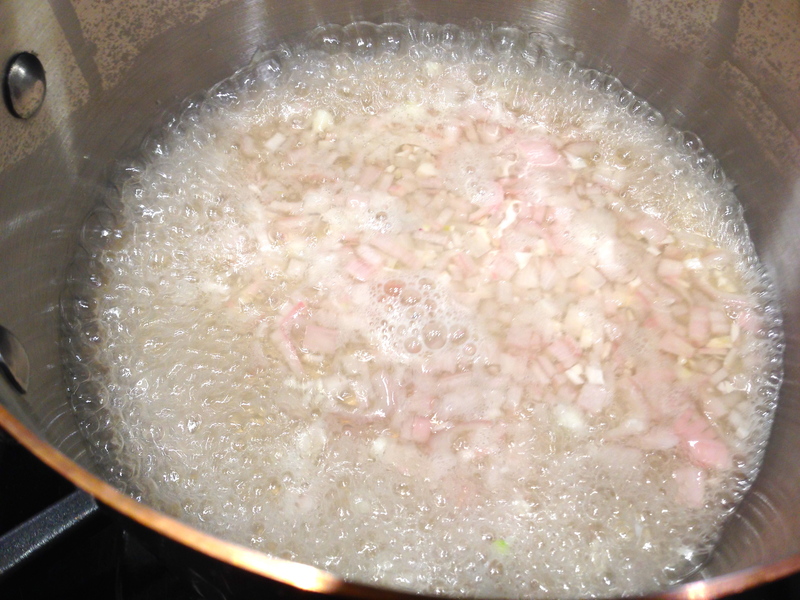 Melt the butter and sauté the shallots until soft. 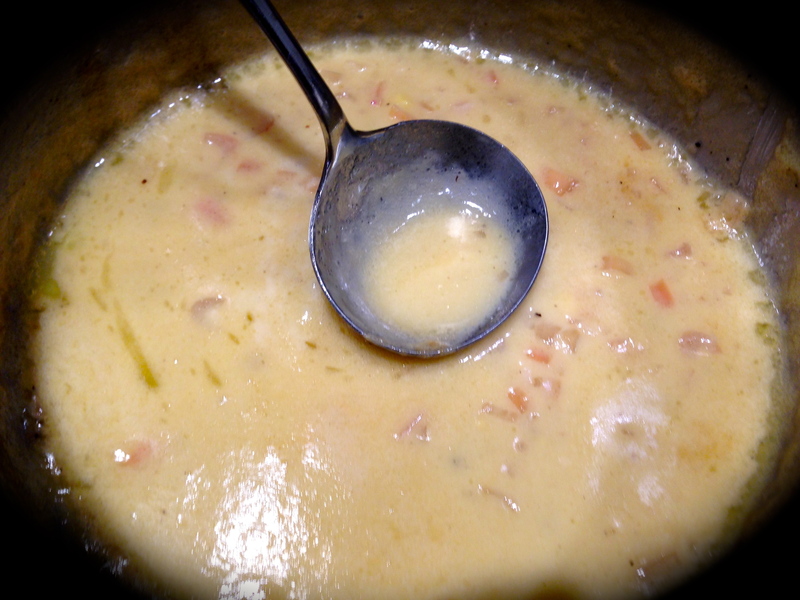 Stir in the mushrooms and simmer for 7-10 minutes, stirring occasionally until their moisture evaporates. Add the wine, thyme and salt and pepper. Simmer for about another 5 minutes. Remove from the heat and add the whipping cream. Use immediately or refrigerate until ready to use. Remove the skin from the salmon. 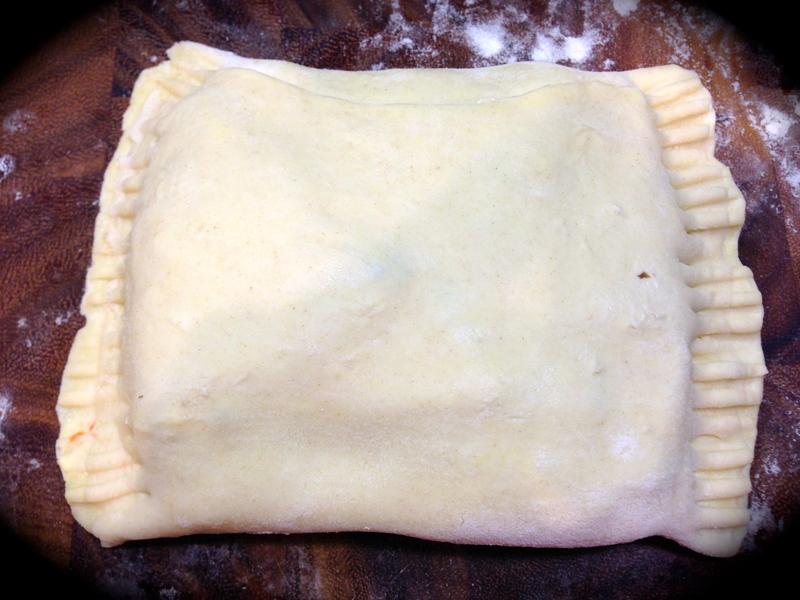 On a lightly floured surface, open the puff pastry and gently roll it into the shape of a square. 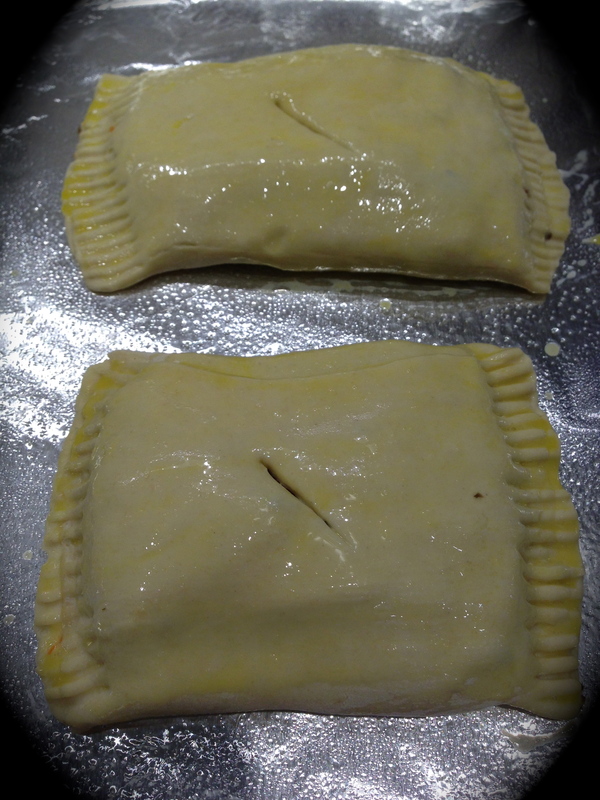 Cut the puff pastry into four equal squares to create an upper and lower portion of the pocket (I cut mine in half and just folded the pastry over the salmon – I had to scrunch the salmon a little to get it to fit in the pocket but it worked out just fine). Spread the duxelle on the puff pastry up to an inch from the edges of the pastry. 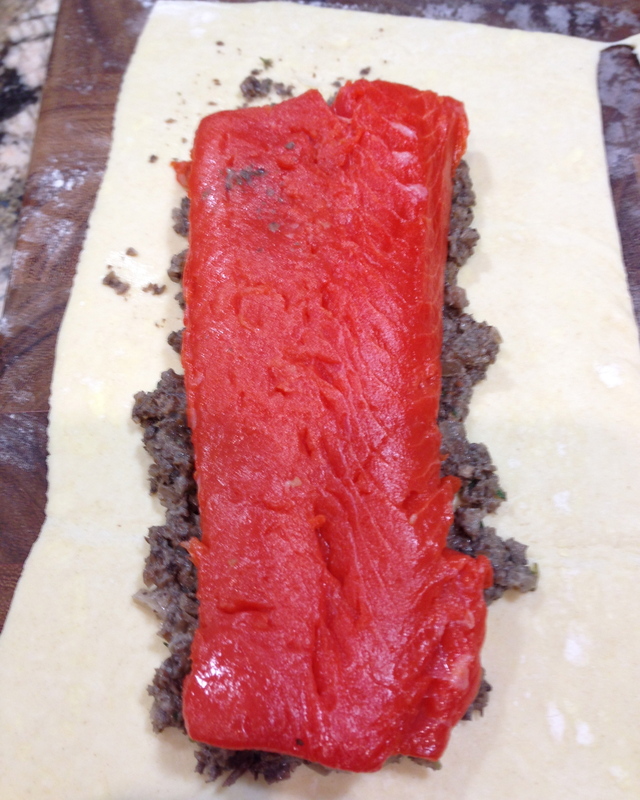 Place the salmon on top of the duxelle and fold over the pastry to create a pocket. 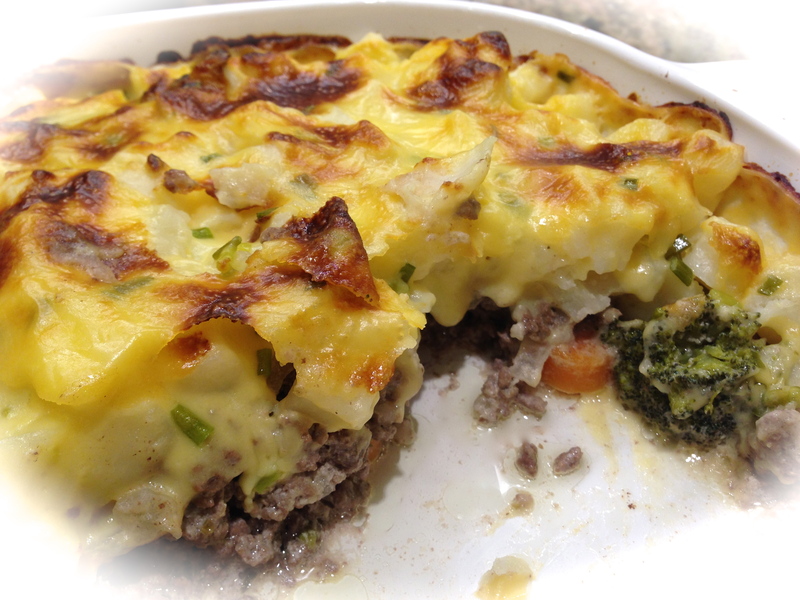 Use a fork to crimp the edges shut. Beat egg with water and brush the top of the puff pastry pocket with the egg wash. Slit a hole in the center of the pastry pocket (about a inch) to allow steam to escape. Line a baking sheet with foil and spray lightly with non-stick spray. Place the salmon pockets on the baking dish and bake for 20 minutes. Serve immediately. I’ve always been a big fan of salmon. It’s a mild fish that can be prepared in a variety of ways and, in my estimation, easier to cook than other types of fish. 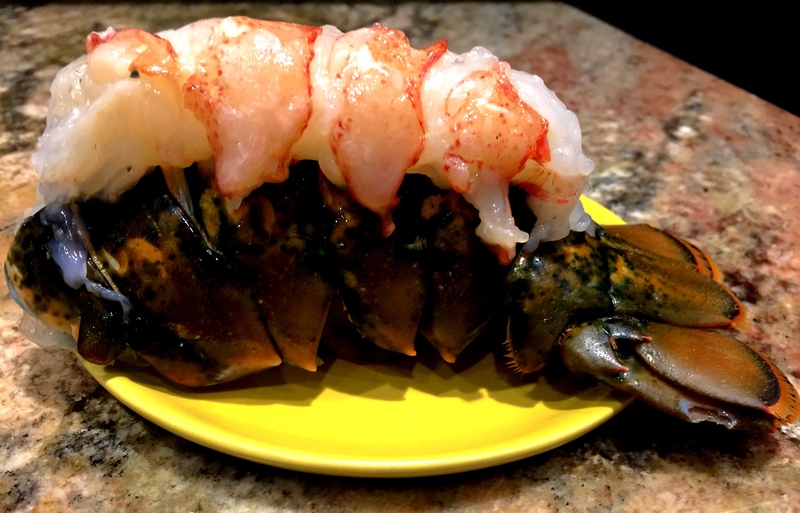 So this past weekend when a new high-end grocery store opened in our area, I decided to try some of their fresh fish. 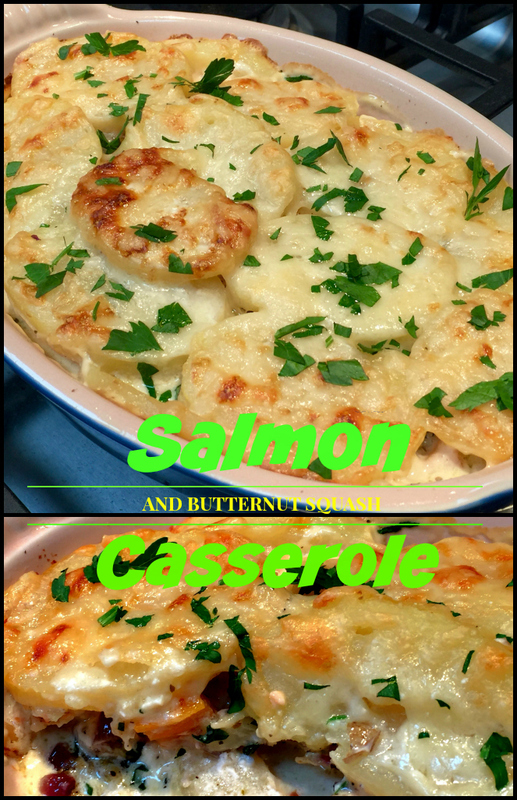 The salmon looked superb, as you can see from the photos, and that prompted me to look for an easy but flavorful salmon recipe. 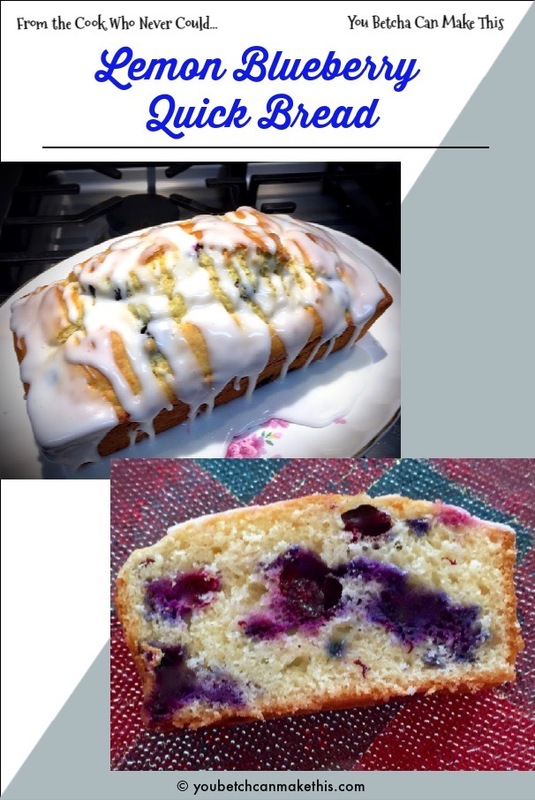 RECIPE RATING A. 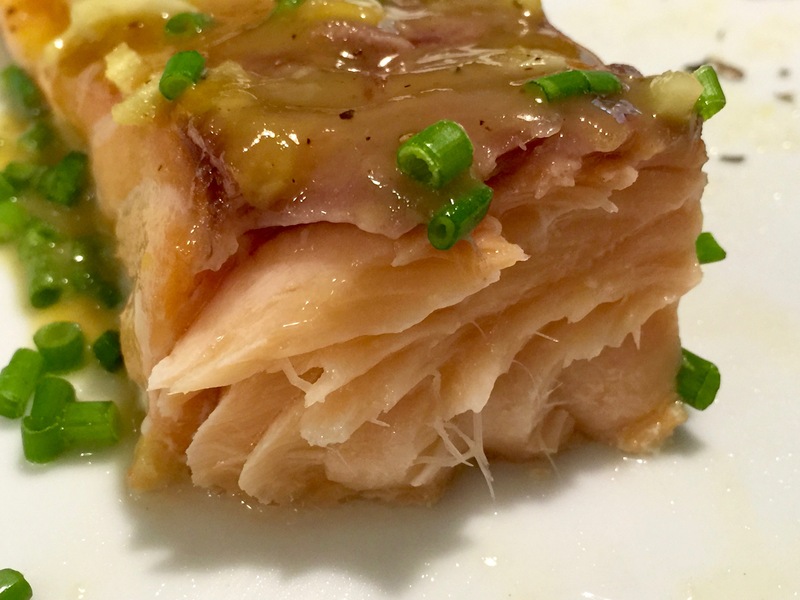 This is a very easy recipe, the glaze is easy to make and the flavors of the glaze provide a delightful compliment to the salmon. 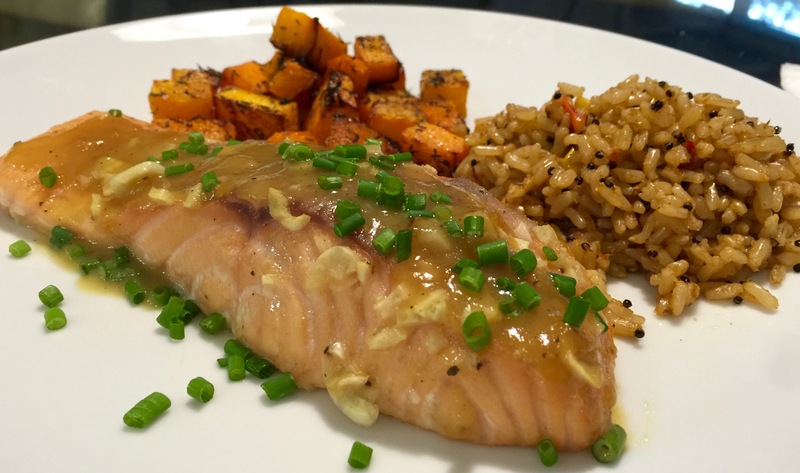 The only things I would have expounded on in the recipe is the reason why you put the glaze on after you’ve cooked the salmon for a couple of minutes and a more detailed reference to variations in cooking times for fish. I’ll explain in my lessons learned. Lesson Learned 1 – Not all fish are created equal: This is true especially when it comes to cooking time. I am still trying to perfect the art of cooking fish to perfect doneness. The challenge is that fish can be expensive and you hate to pay good money for something and then ruin it. The beauty of salmon is that is can be prepared in various stages of doneness. Some like their salmon a little less done, sort of medium rare, will others like their salmon well done. It’s a little easier to work with salmon because of this. 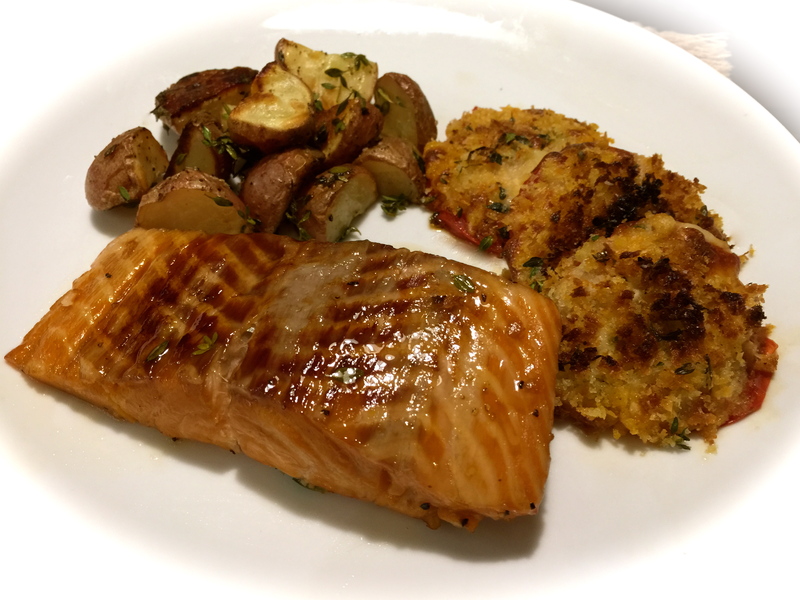 When I made this recipe I used two salmon filets that weighed between 6-8 ounces just as written in the recipe. Giada advised to cook the salmon for 7 minutes total. I cooked mine for 8 and my filet, as it was a little thicker, was medium rare to medium. My husband’s filet was thinner and his turned out medium. So just be aware that your forays into cooking fish may take several trials and also be aware that cooking time is so dependent on not only the weight but also the thickness of the fish. 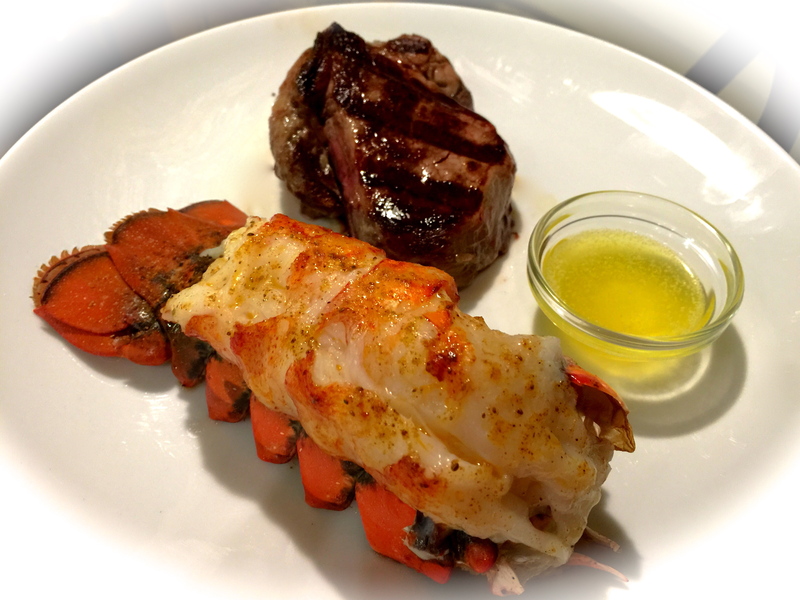 In my case, my filet was thicker than the one I served to my husband, ergo the difference in doneness. But don’t give up. Mastering the art of cooking fish will be something that, in the end, will provide you with some extraordinary meals. Lesson Learned 2 – There is a reason you don’t glaze the fish before you put it under the broiler: This is where I wished the recipe would have been more specific. Granted I have become more adept in the kitchen but there are still some things that are not intuitive to me. 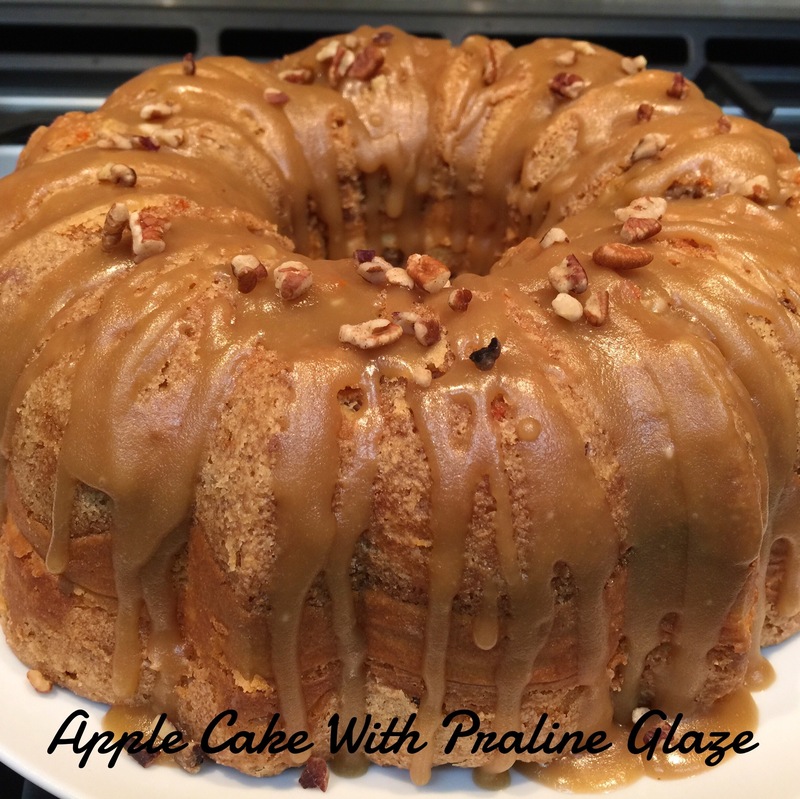 The glaze will burn if you keep it on too long. If I had known that up front I probably would have applied the glaze at the three minute juncture instead of the two. As it was, I had a nicely browned glaze but I think I just made it before it started to burn. So keep that in mind. If you think you need more cooking time than the 7 minutes called for in the recipe, put your glaze on a little later. 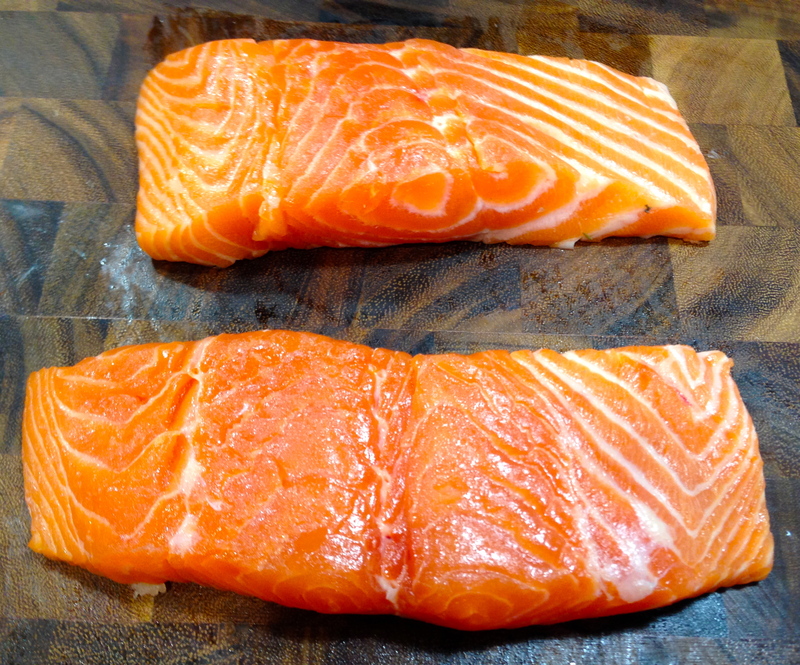 Lesson Learned 3 – Remove the skin from the salmon: If there is skin on one side of the salmon filet remove it. The skin is tough and you won’t eat it. I find the filets cook more evenly with the skin removed. I use a very sharp knife, a Shun boning knife, and just run it up and down the edge of the skin until I can peel a little of it away. Then I hold the skin taught and keep moving the knife up and down close to where the skin meets the flesh, gently pulling on the skin as I go until all the skin as been removed. This will take a few minutes, but it’s worth it. 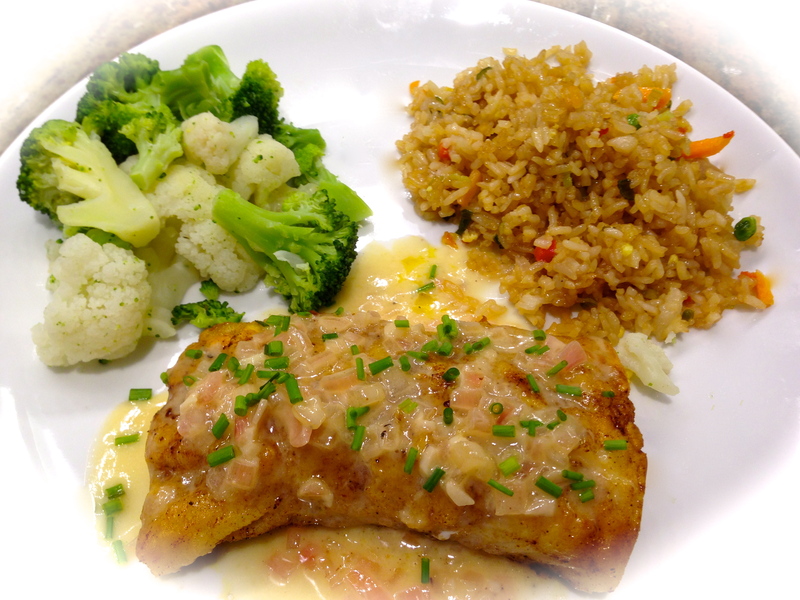 Lesson Learned 4 – The glaze is fabulous: I really liked the flavor of this glaze both on the fish and on its own. I imagine with a little bit of ingenuity it could be used on other things. 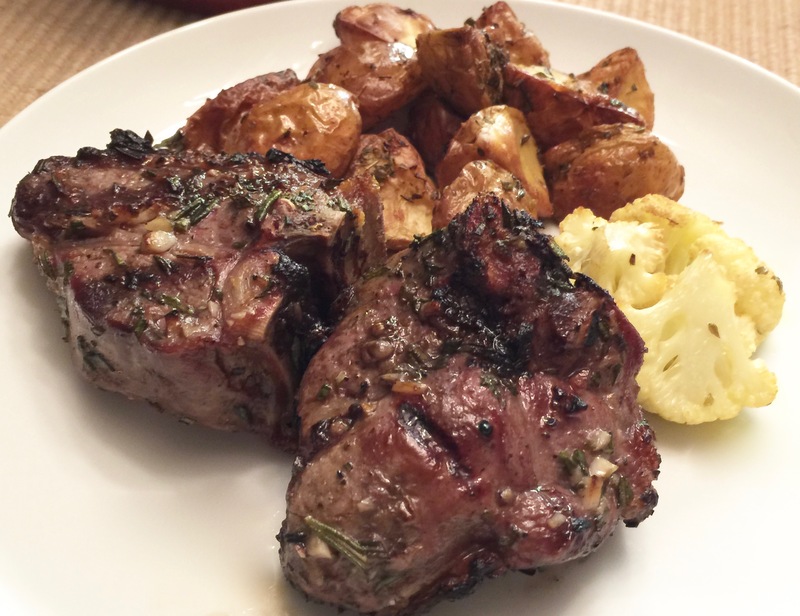 The combination of the dijon and whole-grain mustard along with the herbs provides great depth of flavor and would probably taste good on chicken too. 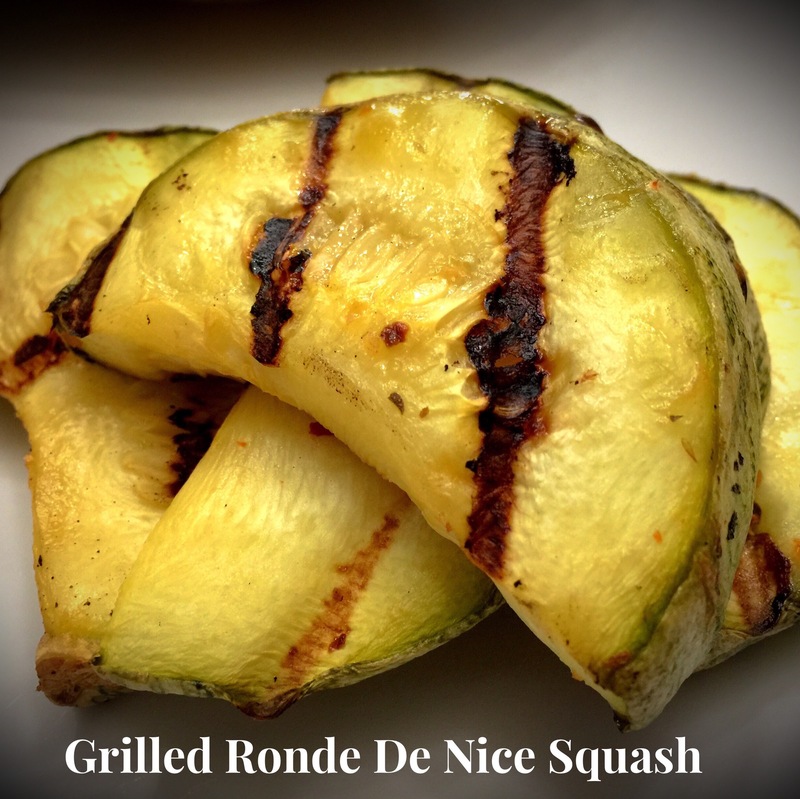 I would highly recommend trying this recipe. Don’t be afraid to cook fish. If you’re concerned, err on the side of caution and take it out sooner rather than later. You can always throw it back on the cooking source but you can’t undo overcooking. Let me know what you think of this one. Preheat the broiler (if you have an option of low or high, choose high). Place oven rack to be approximately 8-10 inches away from the broiler flame. 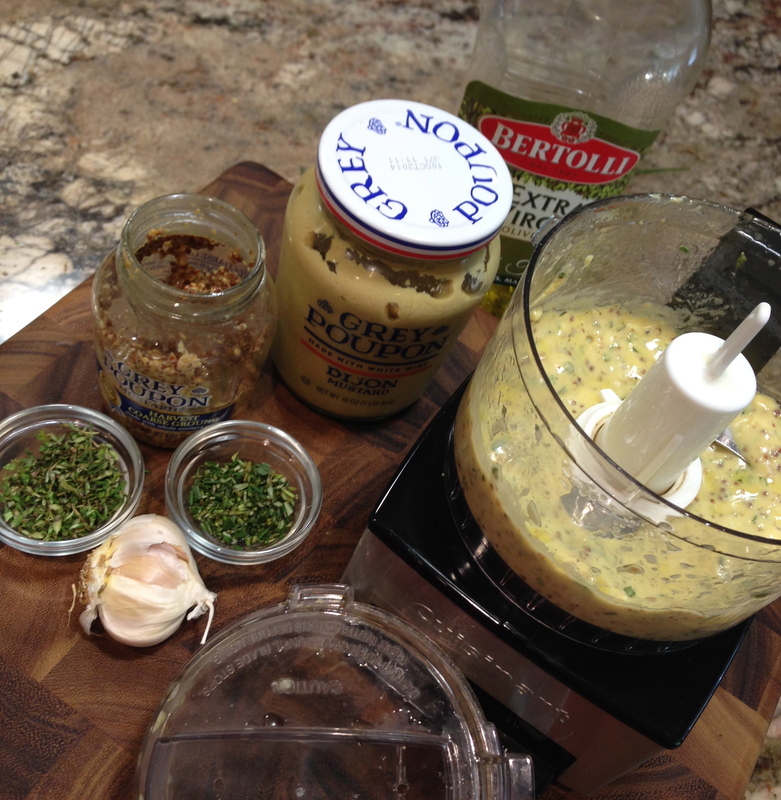 In a mini food processor combine garlic, rosemary, thyme, wine, oil, dijon mustard and 1 Tbs. of the whole grain mustard. Pulse until well combined. Transfer to a small bowl and stir in the remaining 1 Tbs. 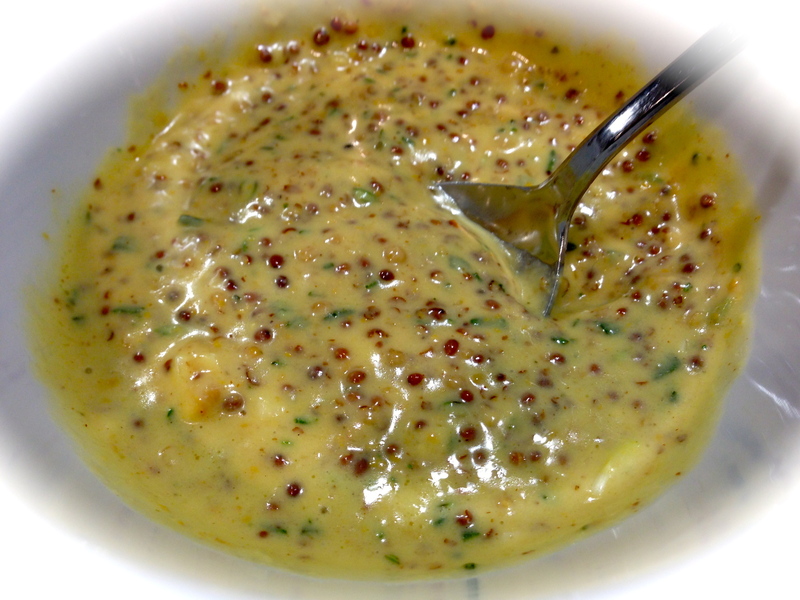 of whole grain mustard. Set aside. 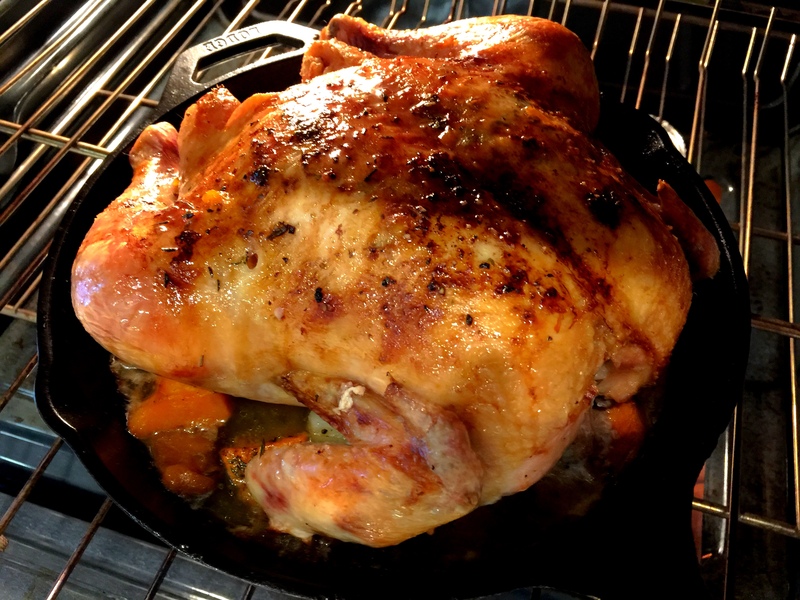 Line a broiler pan with aluminum foil and spray with non-stick cooking spray. Arrange the salmon on the broiler pan (I arrange them vertically so that they nest completely under the broiler flames). Salt and pepper to taste. Broil for 2-3 minutes (depending on the thickness of the filets). 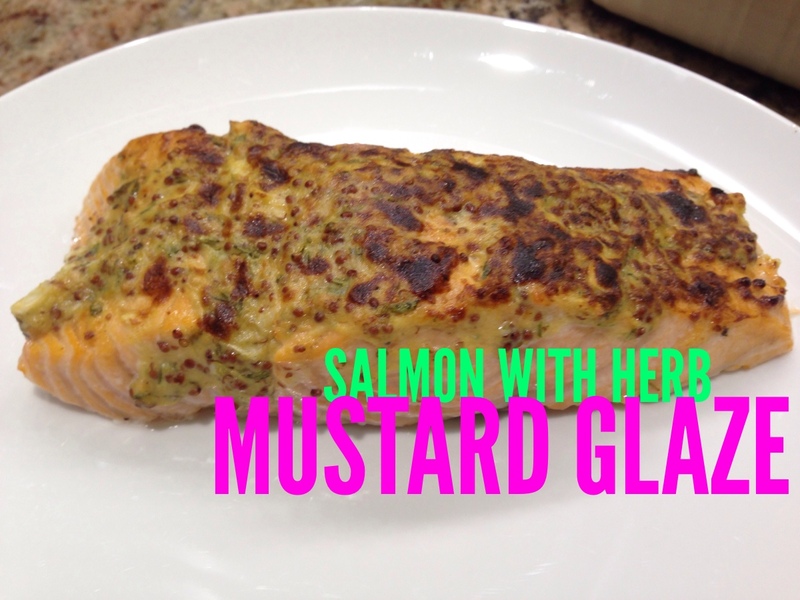 Remove broiler pan from oven and spread the mustard glaze on top of the salmon filets. 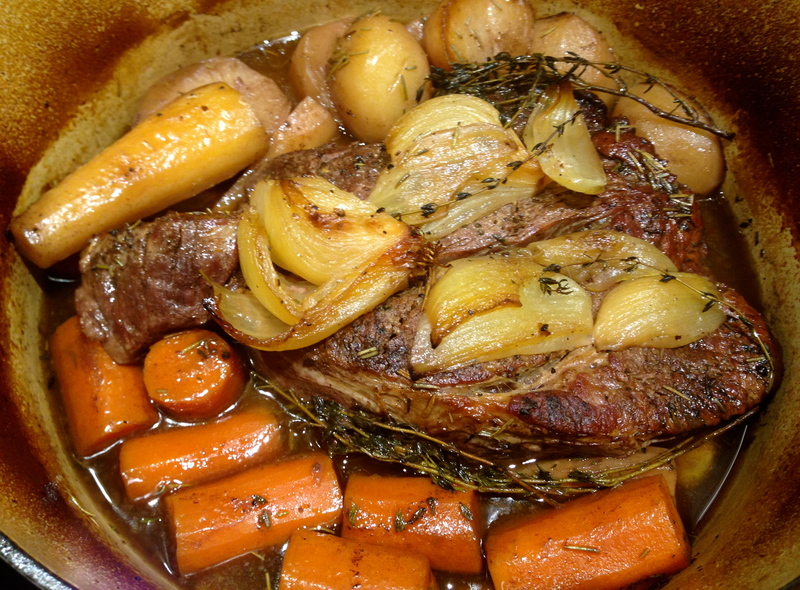 Put pan back in oven and continue to broil for about 5 minutes. Serve immediately.